If the paid internet service at your hotel is not enough for your family, then you could benefit from a travel router like the Belkin Wireless Dual-Band Travel Router. This device allows different devices to connect to the same router so everyone in the family or your group can surf the internet at once. It promises to give a high-speed wireless connection, making your stay more convenient. How does this router work? When the only available internet service is through a wired Ethernet connection, you are only allowed to connect one device. Plugging in this router instead of your laptop or computer will convert your wired network into a wireless one. This way, you and others can get online at the same time without paying for another hotel internet service. This product is compact and lightweight. It will easily fit in your bag without occupying as much space. In fact, it also has a case which you can use to store the USB power plug and the Ethernet cable included. 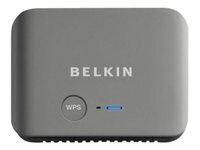 Aside from that, Belkin Wireless Dual-Band Travel Router also works well with Windows XP, Vista, Windows 7, Mac OS and other operating systems. Its connection rate is up to 150Mbps (2.4Ghz) or 150Mbps (5GHz). Lastly, this product comes with a 3-year manufacturer’s warranty. Staying at a hotel will never be boring if you have the Belkin Wireless Dual-Band Travel Router. Have you ever paid for a hotel internet connection only to find out that it was only using wired network? If you think that setup is rather inconvenient and frustrating, this WiFi travel router can save you from those experiences. With very positive ratings on Amazon, this product is sure to give a satisfying performance. What’s so special about this little router is its ability to convert a wired network into a wireless fidelity network so all of your devices can be connected online. How? It has a WAN port, which is reserved for the Ethernet or DSL modem in your hotel room. Once you plug the modem into this WiFi travel router, it will work just like any regular home router. In other words, you now have your personal hotel hotspot for your smartphones, laptops and tablets. Not only does this router allow you to connect to the world wide web, it also offers speeds of up to 150Mbps for 2.4 GHz and 5 GHz. This is because it supports IEEE 802.11a/b/g/n, which makes it great for video streaming and other activities that require a fast and reliable speed. This allows multiple users to be online at the same time. Since it is small, compact and lightweight, it is easier to bring and pack in your bag. It even comes with a stylish case where you can store the included USB power supply and Ethernet cable. The price of the device is reasonable and includes shipping fees and a 3-year manufacturer’s warranty. While there are a lot of good things about this WiFi travel router, it still needs improvement. One of the complaints about this brand is that it is expensive. Compared to many other competing travel routers, it costs more. That is why there are reviewers who say that the price is not worth the performance. Aside from this, it also lacks features such as Bridge Mode and Access Point Mode that other cheaper brands now have. Despite the negative reviews, the Belkin Wireless Dual-Band Travel Router is still an excellent choice. It offers better performance and network coverage than many other brands. The speeds this router can achieve are something worth highlighting too. If you are want to make your hotel stay more fun with the family, you should bring this amazing travel router.